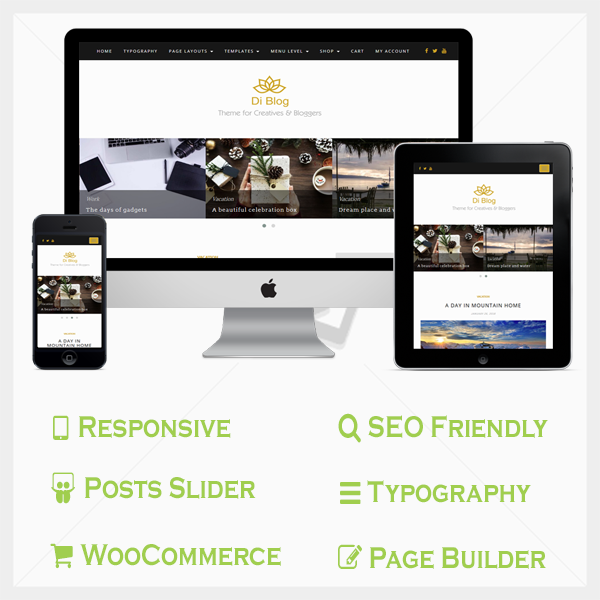 Di Blog Pro is a Clean, Modern, Responsive, SEO Friendly and Fully Customizable WordPress theme. it is designed for creatives and bloggers and specially optimized for speed and SEO. 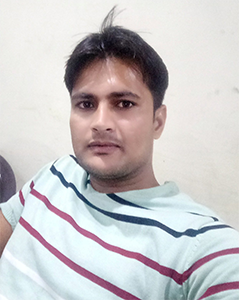 Di Blog Pro is fully compatible with all popular plugins like Contact Form 7, Yoast SEO, Akismet, WooCommerce, Security plugins, Cache Plugins etc. A WordPress Theme for Creatives and Bloggers. Theme Focus : Unique and Clean Design, SEO Friendly, Fast to load, More than Responsive, Page Builder Compatibility, Posts Slider, Mega Menu and Easy to use theme options. 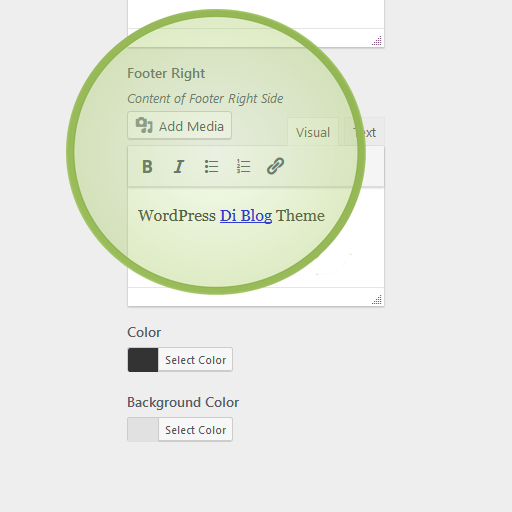 Di Blog free theme have limited color options but this pro version will provide all color options within powerful customize to see live changes. 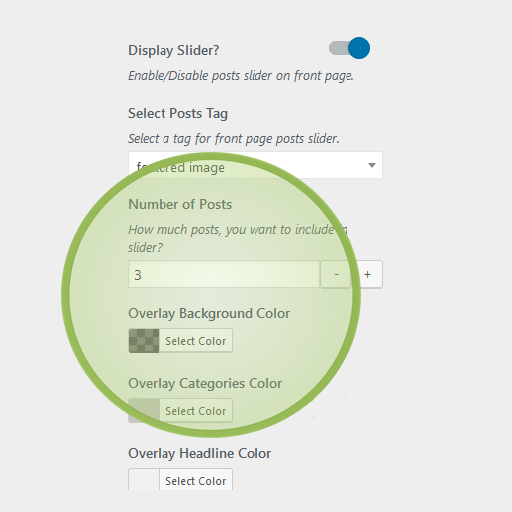 You can display your favorite posts on front page slider and also you will be able to customize color of category, title and background. Easy to customize slider. Di Blog Pro provides very advance options for blog section. 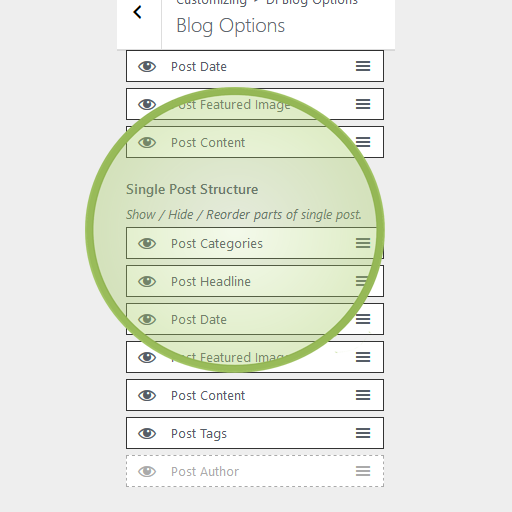 you can hide or reorder any section of a single post and posts. Also you can display post with sidebar and without sidebar. 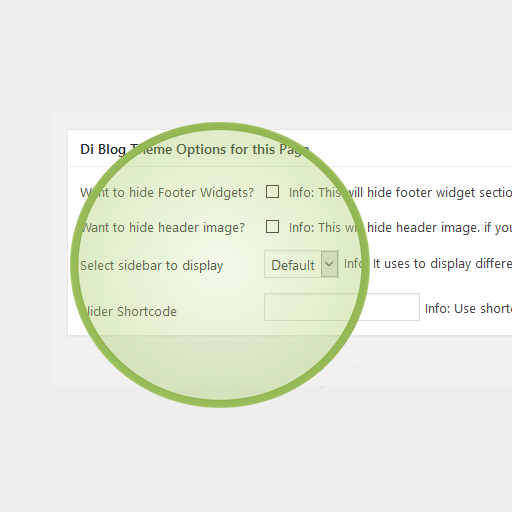 Di Blog Pro comes with option to update footer credit section. 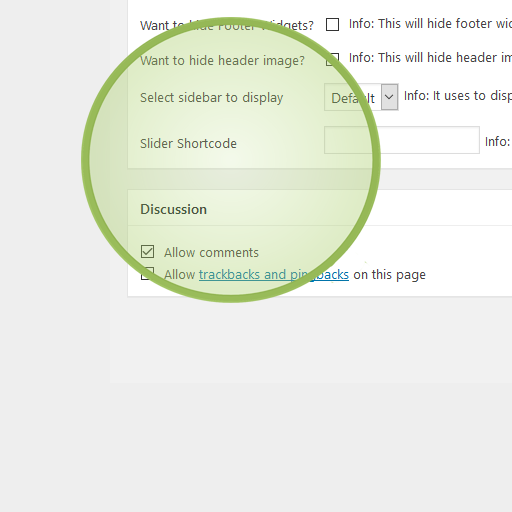 it can easily customize footer right section and you can place your own links or any content using editor. 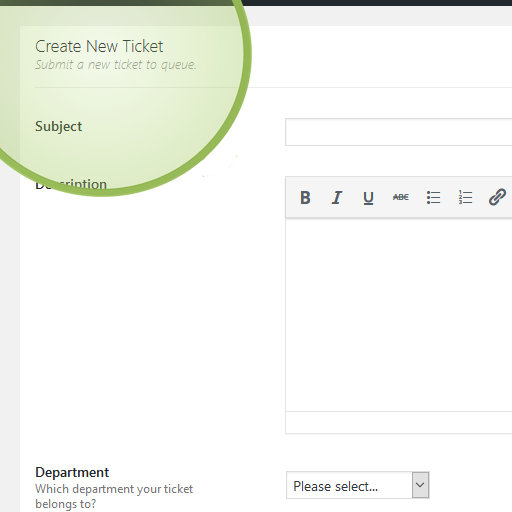 Di Blog Pro users will get On Time and Direct support from theme developers. you will get access to our private support system. "You can do almost everything with Di Blog Pro. I recommend this theme without any hesitation. 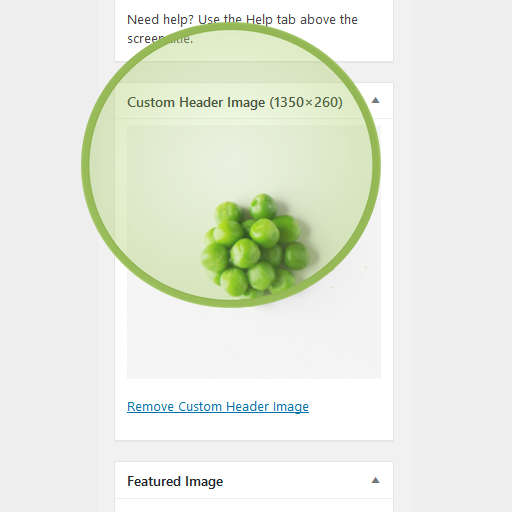 Thank you so much for this excellent theme and quick support." It has never been easier to create websites on WordPress. Get Di Blog Pro Theme and Make a beautiful website.